The Institute of Social Anthropology conducts comparative qualitative research on LSLA in Ghana, Malawi, Morocco, Tanzania, Sierra Leone and Kenya on the way these investments impact commons and their users, including a focus on gender relations and their transformations. Analyzing institutional change from common to state property and privatization these cases show that LSLA does not just lead to land but also to commons grabbing, as communal/clan land and resource rights are transformed into state and private property. This process undermines resilience and food security for vulnerable women and marginal resources users, but is legitimized by companies and elite groups as development and justified by legal claims (institution shopping). At the same time, compensations and corporate social responsibility programs (CSR) of companies/states lead to “new commons” (f.e. funds, development schemes etc.) to which, however, marginal resource users often do not have access and which do not compensate for the losses. These projects are led by Prof. Dr. Tobias Haller (ISA), Prof. Sabine Strasser (ISA) and Prof. Jean-David Gerber (Institut for Geography), University of Bern. GHANA: Institutional change, gender and power relations. Case study of a ‘best practice’ large-scale land acquisition in Ghana. An international rice production scheme in the Volta Region in Ghana is researched, where educated local chiefs emerge as powerful actors in the new investment context. They are needed to ‘translate’ the investment logic based on private property and discourses of ‘modernity’ and ‘development’ into the local context, which is based on a complex common property system and takes its legitimation from oral history and tradition. These chiefs perform institution shopping (i.e. switching between statutory and customary institutions) to increase their bargaining power in order to change the customary into private tenure system. From these processes, the local elite, including elite women, profit, while the most marginal members of the societies, including settlers and poor women, lose access to various common pool resources and are further marginalized. It can be argued that this ‘commons grabbing’ also leads to a decrease in resilience of the most marginal local actors. Lanz, K. (2018). Institutional change, gender and power relations. Case study of a ‘best practice’ large-scale land acquisition in Ghana. PhD Thesis in Social Anthropology, University of Berne, Switzerland. Research was done on recent investments in forest plantations by a British-based investor (New Forests Company (NFC)) in Kilolo district, Iringa (Tanzania) on the territory of the Wahehe and Wabena ethnic groups. In 2013 the company began acquiring family land embedded in common property institutions. However, the investment also led to evictions from land and related common pool resources via the use of state conservation laws and Land Acts of 1999 (Land Act 1999 and the Village Land Act 1999) as an act of institution shopping by the company. The legal pluralistic setting of the area (colonial and post-colonial state laws and different contested versions of traditional Wahehe and Wabena inheritance rules) also contributes to the fact that the land deals are hampered by many conflicts. The commons enclosure created by the NFC land deals reduces the resilience capacities of women much more than of men. The women’s ability to fulfil their care work is particularly curtailed by the loss of access to land, especially the fertile bottom-valley fields (vinyungu) and related common pool resources (i.e. fruit trees, grasses, water and cultivation land for bean production). These are essential for subsistence and market opportunities, while access to compensations (as a “new commons”) is limited and badly adapted to local needs. Gmür, D. 2019. 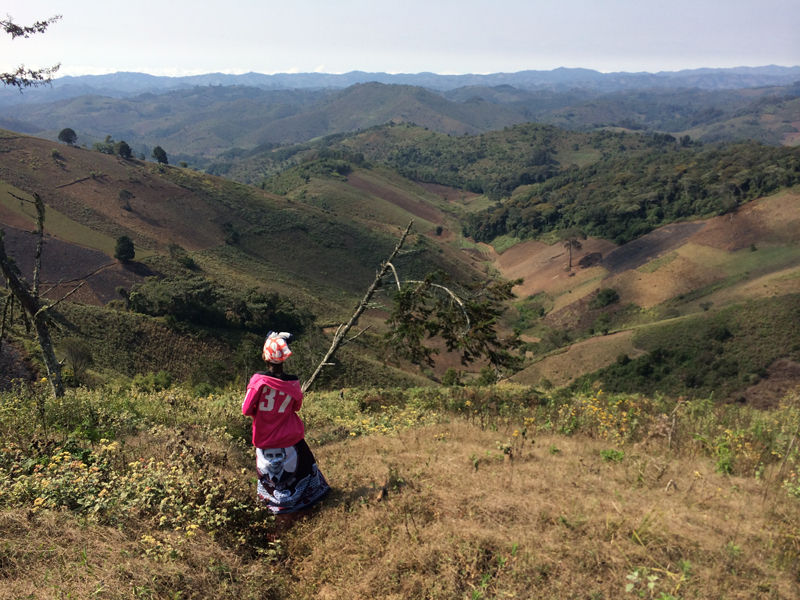 Grabbing the Female Commons: Large‐Scale Land Acquisitions for forest plantations and impacts on gender relations in Kilolo district, Iringa Region, Tanzania. In: Haller, T.; Breu, T.; De Moor, T.; Rohr & C; Znoj, H.P. (eds). Commons in a ‘Glocal’ World: Global Connections and Local Responses. Routledge. (forthcoming). 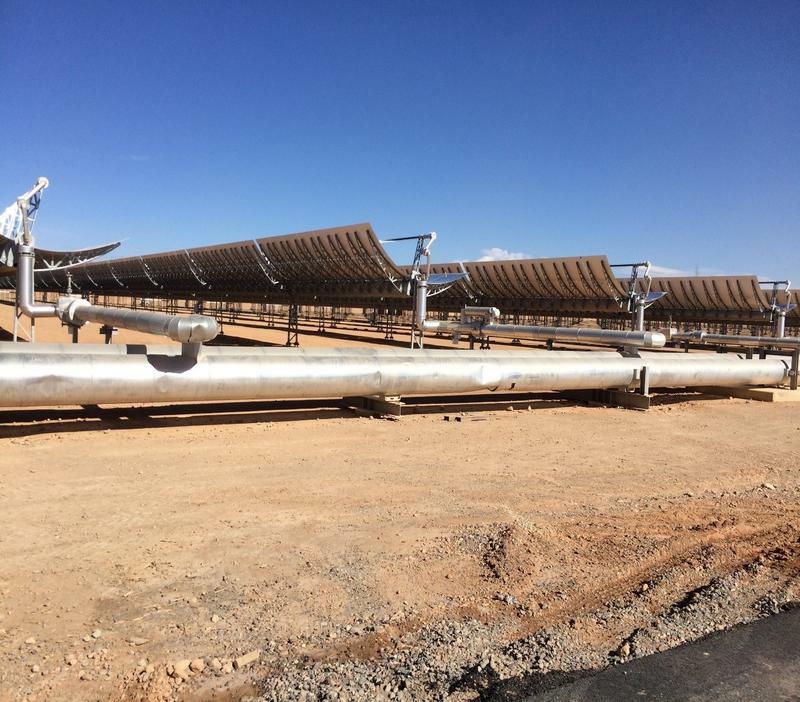 This PhD looks at the world’s largest solar project (3000 ha), ‘Noor Ouarzazate’ (‘The light of Ouarzazate’ in Arabic), operated by the parastatal company MASEN in Morocco. The land affected is a former common property of the Berber Aït Ougrour. Payments for the commons were low based on a ‘wasteland’ discourse. However, the territory was a pasture and cash source for women (collecting shrubs for fodder for goats sold on in the city of Ouarzazate). Despite this stake in the commons, the women were not directly involved in the land deal. MASEN provides compensation and development projects based on Corporate Social Responsibility (CRS) policies, but access to these ‘new commons’ is unequally distributed. This results not only in commons grabbing but in resilience grabbing as women now lack access to income. Ryser, S. (2019). Are Green Energy Investments levelled by the “New Commons”? Compensations, CSR-Measures and Gendered Impacts of a Solar Energy Project in Morocco. In: Haller, T.; Breu, T.; De Moor, T.; Rohr & C; Znoj, H.P. (eds). Commons in a ‘Glocal’ World: Global Connections and Local Responses. Routledge. (forthcoming). 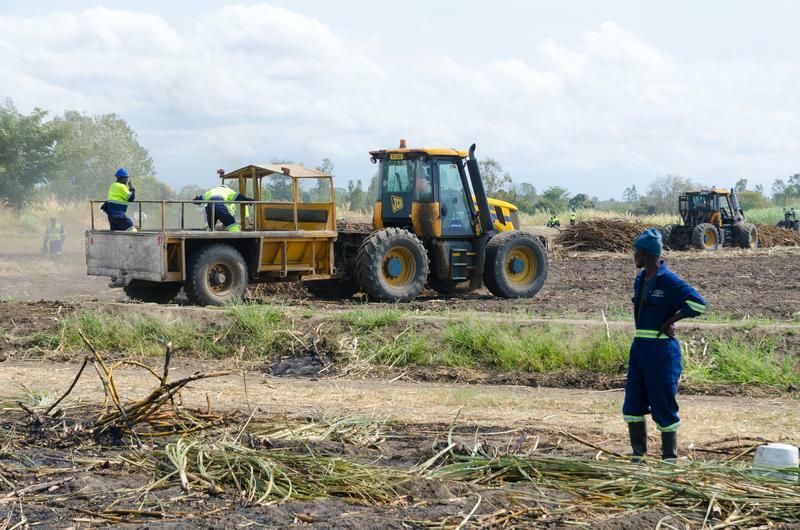 The cases focuses on a large-scale sugarcane expansion project in Malawi, where an international commercial agribusiness company (Illovo Sugar Limited) tries to expands its cane production through contract farming with smallholder’s under outgrower schemes, managed by a smallholder company (i.e.Dwangwa Cane Growers Limited). The research analyses the effects of the outgrower expansion on local institutions (e.g. customary laws, practices and norms) governing access to land, the institutional changes taking place, changing gender relations and livelihoods. The outgrower-scheme changed local people’s access to their land, while providing land access opportunities for members of a few richer households for the cane farming. This undermined matrilineal customary institutions providing access to clan land for women, because outgrower land is held as Trust land, which is supported by the state. Powerful local actors use state laws vis-à-vis the Trust deed to exclude poor lineage /household members – especially women – from the land (a process that is called “institution shopping”). 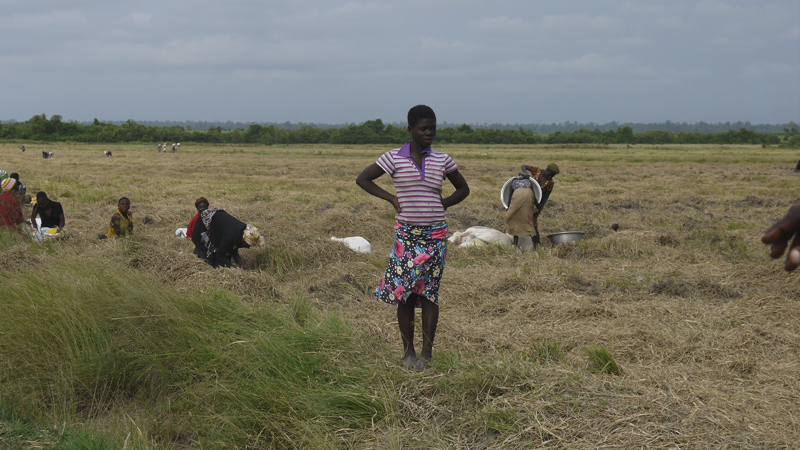 Whilst some few women manage to participate in the scheme, the majority of the remaining women are either transformed into a labor force to be exploited for cash by their husbands in the outgrower households or by the agribusiness which employs them as estate farmers under deteriorating working conditions. For them, the hardship of reproductive activities remains. Under the customary institution, most women had access to lineage land, which also served as a form of commons to the entire community under seasonal bases. Such land was opened to all members for dry season gardening and parts of it were used for collecting vegetables, fruits, herbs, grazing animals as well as termites for fowls' feed and thus supported livelihoods of local people. All these land related common pool resources were lost to the sugarcane scheme. To make things worse, the majority of the women who depend on such resources, did not just lose access to the commons but were also excluded from participating in the scheme itself. Consequently, the ensuing commercial sugarcane engagement has created a gender gap, with more men than women participating in the scheme, whilst at the same time widening the gap between the rich and poorer households with detrimental implications on the resilience of these households. Adams, T., Oberlack, C., Gerber, J.D. Are Cooperatives the Ultimate form of Inclusive Business Models? A Comparative study of Inclusive Businesses in the Sugarcane Industry of Malawi. In the year 2010, Addax Bioenergy, a Swiss-based company, leased 57’000 hectares of land in Sierra Leone to produce biofuel for the European market. The provision of money by various international development banks forced the company to comply with high social and environmental standards for the implementation of the project. For this reason, various UN agencies labeled the project a best-practice example in the area of large-scale land acquisition projects. However, our in-depth field research in two affected villages showed that the company failed to understand the complex dynamics of the social context and the land tenure system on the local level. Findings reveal problematic implications for different groups of affected people. The land acquisition reduced people’s access to land and associated common-pool resources that are important for their livelihoods. Although the company made an effort to inform people and seek their consent to the land lease, many groups were excluded from consultation and compensation processes. Customary land titles of traditional landowning families were formalized and the male heads of these families were consulted and compensated for the land that was leased by the company. Land-using groups such as women and migrants, who previously had access to land and resources through secondary user rights, were neither consulted nor compensated by the company for the loss of their rights to use land, access water resources and harvest fruits. The loss of these common pool resources destroyed their previous earning opportunities and livelihoods without adequate compensation provided by the company. However, empirical data also reveals the capacity of affected people to develop coping strategies in order to deal with and influence the transformed institutional setting. In one community, women started protesting against further land take by the company. Through alliances with other local and national actors, they were able to hamper the land take and prevent further deterioration of livelihoods. In June 2015, Addax Bioenergy ceased its operations in Sierra Leone because the project never became economically viable. After a year of uncertainty, Sunbird Bioenergy, a company with close ties to China New Energy Limited, became the new majority owner and operation manager of the Bioenergy project. According to monitoring reports from NGOs (SILNORF, Bread for All), the company is working very non-transparently. Sunbird has stopped the monthly meetings with affected communities and is allegedly paying land lease payments too late, if at all. MARFURT, F. (n.d.). Gendered Impacts and Coping Strategies in the Case of a Swiss Bioenergy Project in Sierra Leone. In: Haller, T.; Breu, T.; De Moor, T.; Rohr & C; Znoj, H.P. (eds). Commons in a ‘Glocal’ World: Global Connections and Local Responses. Routledge. (forthcoming). LUSTENBERGER, S. 2014. Addax Bioenergy Sierra Leone. Analysis of the Implementation Process of a Large Scale Land Acquisition Project from the Perspective of Assemblage Theory. Master Thesis. University of Bern. KÄSER, F. 2014. Ethnography of a Land-deal. A Village Perspective on the Addax Bioenergy Project. Master Thesis, Institute of Social Anthropology at the University of Berne. MARFURT, F. 2016. Ethnography of Land Deals. Local Perceptions of a Bioenergy Project in Sierra Leone - Expections of Modernity, Gendered Impacts and Coping Strategies, Master Thesis, University of Bern.